Our goal is to simplify the roof replacement and restoration process while providing superior customer service to our clients. Our team has both the experience and industry-specific education necessary to get the job done right, the first time. Collectively, we have more than 25 years of project experience in the roofing industry and 30+ years of relevant field experience in residential construction. We employ the same trade sub-contractors to ensure consistency while leveraging their invaluable expertise. We are passionate about supporting our local community; we only hire the best people and we believe paying them appropriately for their services. We still don’t know how Dan does it all. He orders materials, pulls permits and schedules the crews. 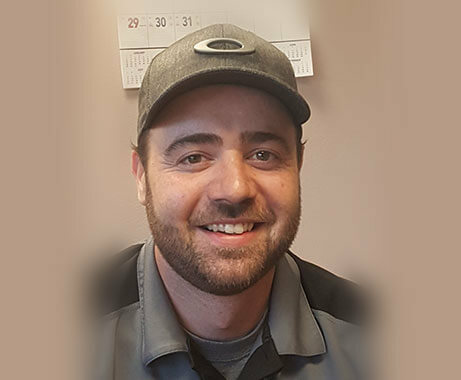 He expertly rearranges schedules for weather or construction delays and saves the day when the crews are short of materials. He does this while being and amazing father to his 4 daughters and managing his own projects. Dan was also Capitals first project manager. 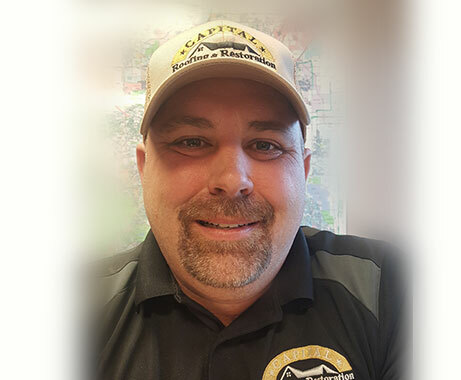 Over the years, I have worked for multiple roofing companies and decided to start my own company to deliver a better experience for the homeowner. 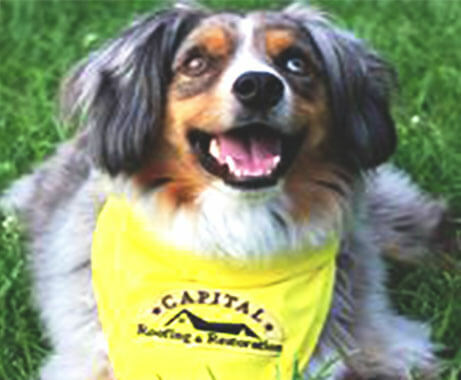 Capital Roofing & Restoration was formed in early 2013 and has maintained a stellar reputation and 100% client satisfaction. I received my MBA from DU and a Finance degree from CSU. As an Eagle Scout I enjoy the outdoors, boating, fishing, hiking, biking, and skiing (worked one winter for Vail Resorts). I recently adopted a Miniature Australian Shepherd named Skippy. Jeff went from managing repair and installation technicians at Appliance Factory Outlet to training our project managers and canvasser crews. 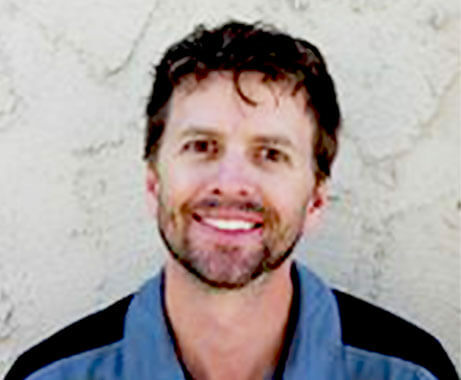 Jeff manages a large volume of his own projects and steps to expertly mange the projects when salesman have scheduling conflicts or the project needs management assistance to get it wrapped up. Jeff Loves hockey and a season ticket holder of the Avalanche, he is also a former cake baker who rides a Harley. Just as Denver has grown, so have we! We now have 15 project managers to meet your needs!